Here are my 6 Instant Pot Must Haves! 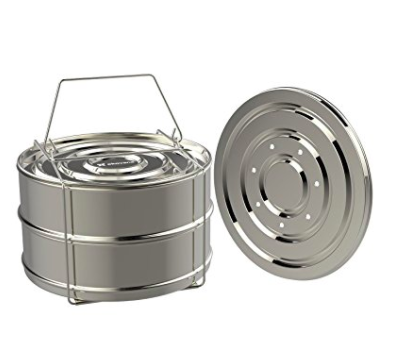 1. ekovana Stackable Stainless Steel Pressure Cooker Steamer Insert Pans These are a 2 tier stackable pans that will let you cook multiple foods at the same time! It is also great for steaming vegetables, meat or fish. Then you can use it as a dessert pan to make cheesecakes or use as a lasagna pan. And if that isn’t enough – it is perfect for reheating food too! It fits the 5, 6 & 8 QUART COOKER. Find it here. This is PERFECT if you are wanting to make recipes that require you to use your Instant Pot TWICE! Like our Sticky Chicken found HERE. Then you don’t have to take your pot out, dump out everything, let it cool, wash it, and then add your other recipe. If use another pot, you are saving time and dishes! Find the pot I have here. 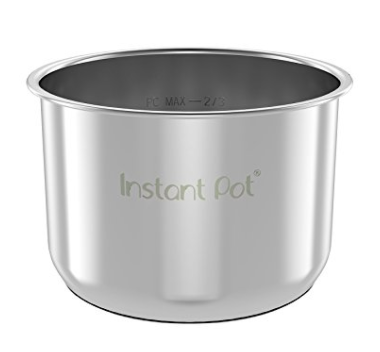 The silicone lid creates an airtight, spill proof and watertight seal on the Instant Pot stainless steel inner pot! So instead of dumping all your contents into tupperware, just put this lid on! It almost is like you have your own giant tupperware! Reheating is easy also! Just take off the lid, stick your pot in your instant pot, push warm, and you dinner will be heating in a matter of minutes! Get my lid here. 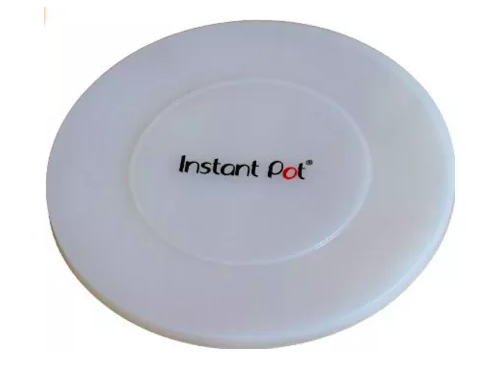 This is the Instant Pot lid (found HERE), but I got one that isn’t Instant Pot (found HERE)! Having a transparent glass for clear viewing will let you see inside without removing the lid, it’s perfect to turn the pressure cookers to a slower cooker, popcorn cooker, or other things! 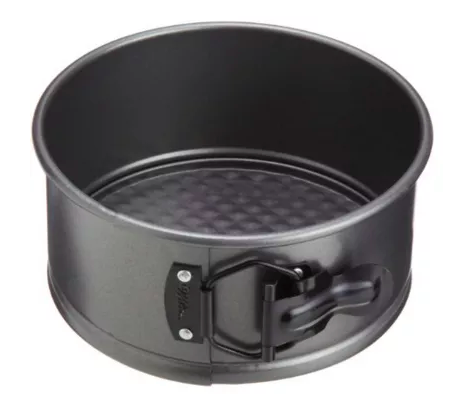 This is the 6 inch springform pan, but you can get the 7 inch and 8 inch one! The 6 inch will fit in the 3quart, along with the others! This is perfect for making a delicious cheesecakes, brownies, and even Lasagna! Find my Instant Pot Lasagna HERE. Watch my Instant Pot Must Haves Video below! I hope these help you when using your Instant Pot! This is the Instant Pot I have. Find it HERE. If you are looking for Instant Pot Recipes, be sure to Subscribe to our YouTube Channel (HERE) because I will be sharing a New Instant Pot recipe every Monday! I love this! What great ideas! Oh thank you! Have a great day! I didn't see the cheesecake link you mentioned. I love all six Sister’s! I enjoy them sharing their own ideas and personalities! You didn't mention a steamer basket, that is one accessory that I use a lot. I tried my first recipe last night. I made your Instant Pot pot roast dump. Super tasty and super simple. I am hooked. 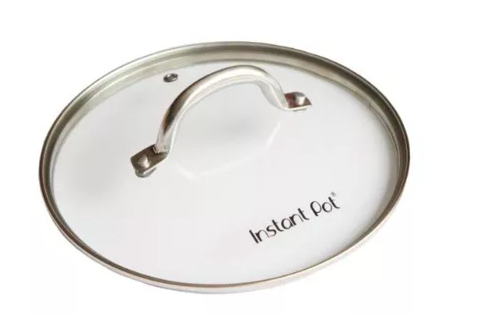 Would it be possible to publish a review of Instant Pot accessories? What held up, what didn't? Amazon has so many different brands advertising making it hard to choose. Some of the reviews are obviously planted. Especially when I see 20 or 30 reviews all published on the same day on the same kitchen counter top. And then no more reviews. The six must haves that you suggested are in my cart. Thanks again! where can you get the instant pot? is there a specific brand? 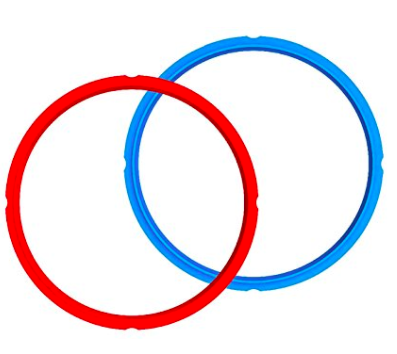 What bakeware can you use? I read that you shouldn't use pyrex or corning ware.